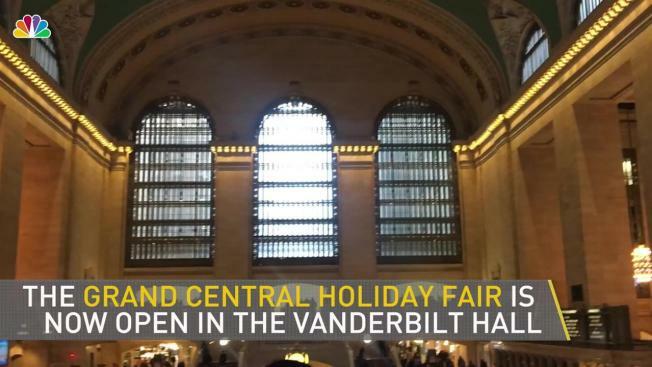 The Grand Central Terminal Holiday Fair is now open for business in the heart of the iconic transit hub. The 40-vendor market has taken over the terminal's majestic Vanderbilt Hall, and will remain in place until 6 p.m. Christmas Eve, for last minute shopping needs. Grand Central says the fair committee spent the year choosing a range of unique vendors for the space, with a focus on American-made and handmade products with locally-sourced materials, or a socially-conscious business model. Expect artwork, clothing, children's toys and home goods. The Holiday Fair at Grand Central has been running since 1993. Head to the website for more detailed information on vendors.